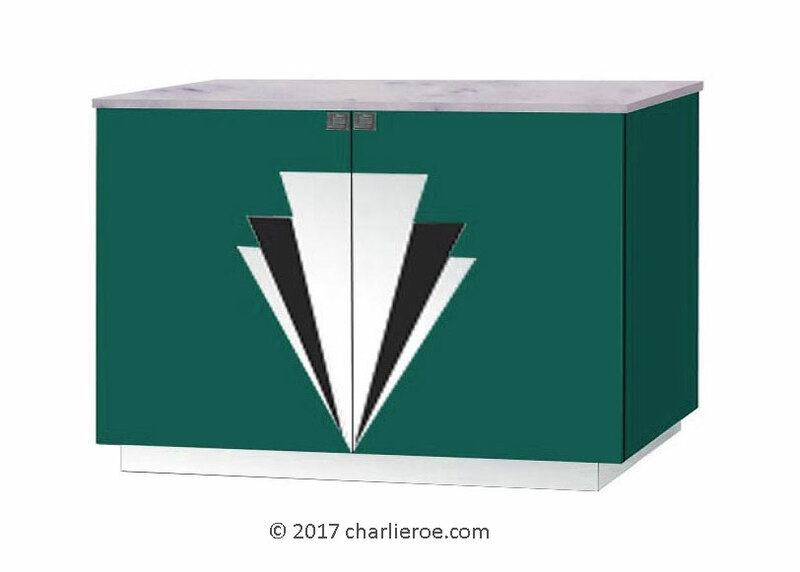 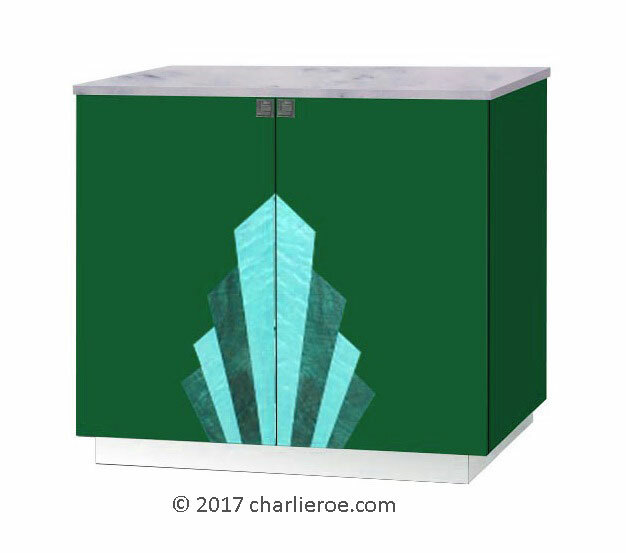 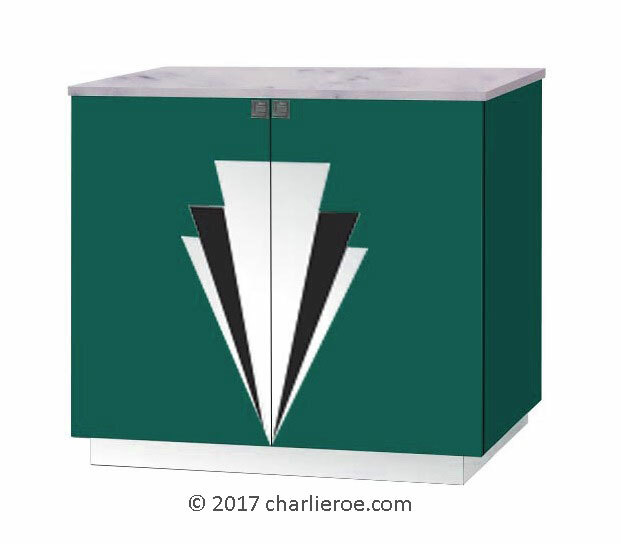 These designs were created to showcase a range of stunning Deco cabinets & sideboards. 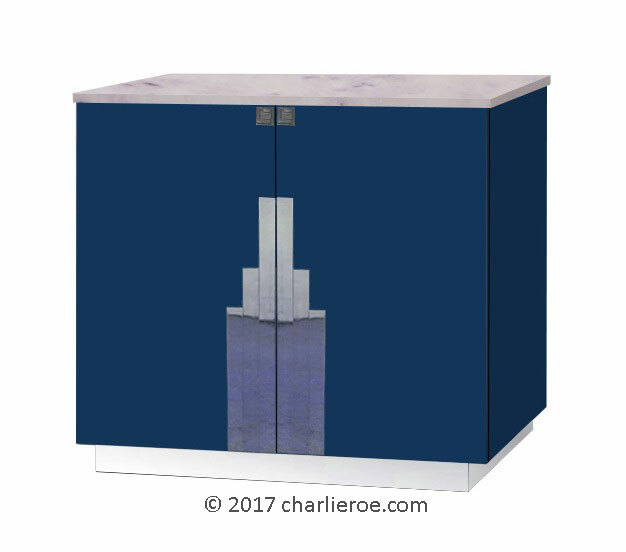 They can just as easily be used as a bar, storage cupboard, media unit, etc.. 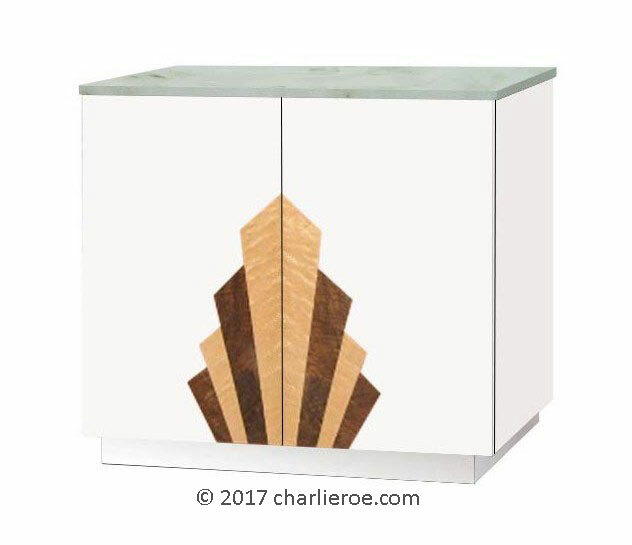 While the shape is quite straight forward, being a boxy Deco shape, it is the designs on the doors that really give them such a strong Deco graphic look. The designs are applied via paint, veneer, mirrors or chrome. We've shown some colour variations below, but you can have exactly the colour you want. The colours shown below range from the bright pastels of Miami to muddy Deco tones. You can mix any of the designs with any of the colours. 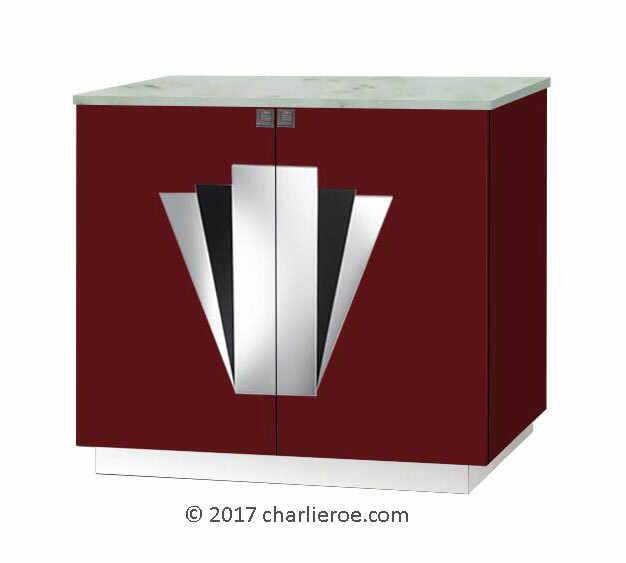 These cabinets, being made bespoke, could be made as 3 or 4 door versions as well. 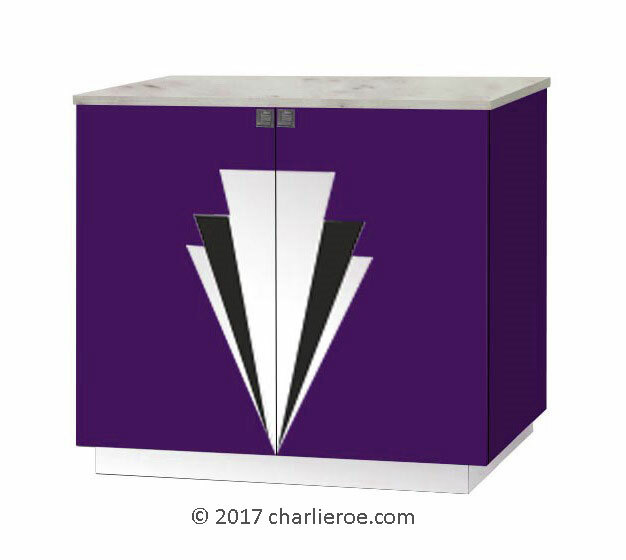 The unit can have a hand painted or lacquered finished. Of course you can have wood finishes as well. The vanity has internal shelves. 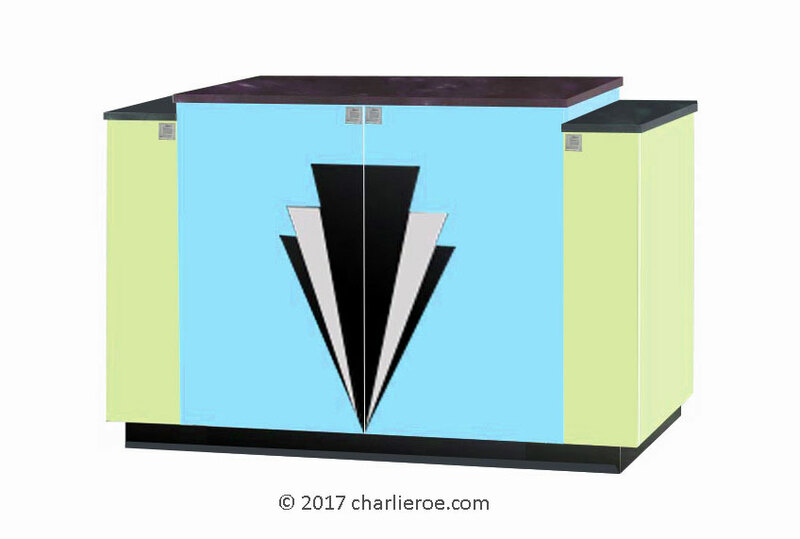 Shown below are some further examples showing different design, finish & colour combinations. 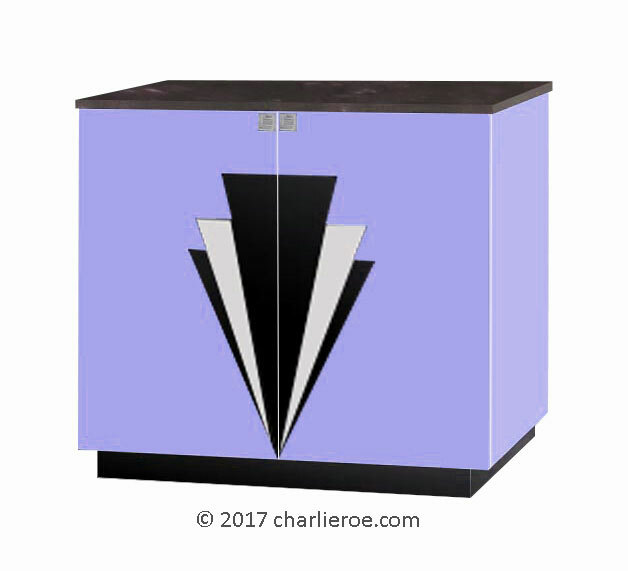 They really offer a wonderful Deco statement. You can have a choice of worktops, from granite, marble, quartz, Corian, painted, wood, glass, etc.. Made to order. We don't give out sizes until we've agreed a spec. with the customer. As these cabinets are made to order we can change the sizes & proportions to your requirements. 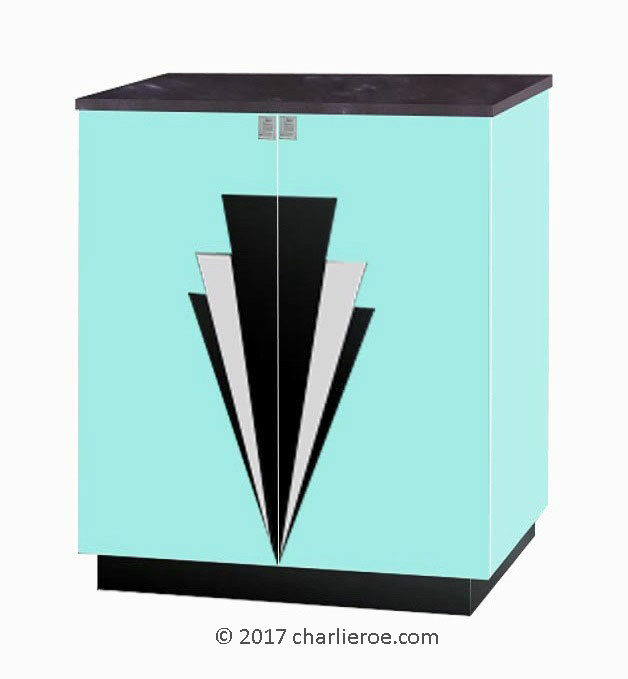 As these cabinets are made to order we can change the sizes & proportions to your requirements. 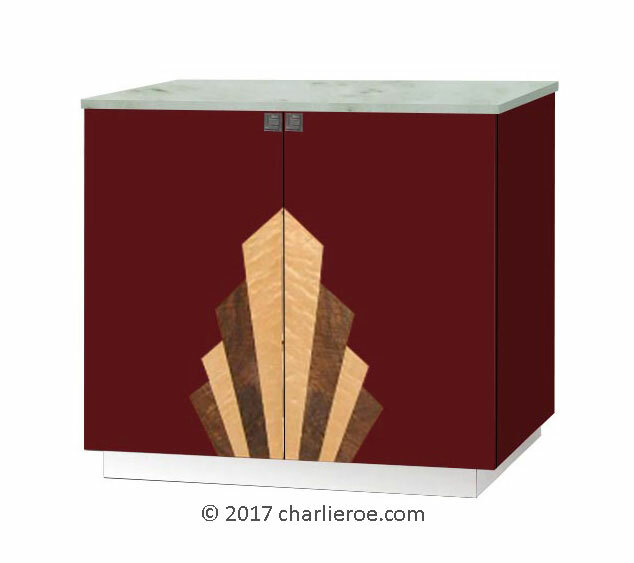 Shown above is a beautiful 4 door version of this cupboard (shown on another page), to show how you can play around with these designs. The stepped top & different colours emphasis the Deco styling. The colours are typical of Miami style pastels.